SDLG’s new L946, 3.9-ton wheel loader has a new steel structure cab with a wide vision, large operation space, fully covered cab internal trimmings, good sealing performance, and standard air conditioning. FOPS & ROPS can be installed optionally in the wheel loader. SDLG 5-ton transmission case is configured, with large bearing capacity and high reliability. An advanced feature is the protruding type cutting board bucket. The bottom anti-friction plate is thickened,with little cutting resistance, high load factor and reliability. L946 is powered by WP6GI, Weichai Deutz BS111, 4 stroke direct injection, electronically controlled engine, delivering 2000 rpm. The machine is targeted at the aggregates mineral processing and mining sectors, and will also be promoted for concrete ready mix and tipper truck loading. “The wheel loader segment is seeing almost 20% growth, and with the new product, SDLG will be able to strengthen its business presence further in this category,” said Mr. Sanu George, Business Head, SDLG India. 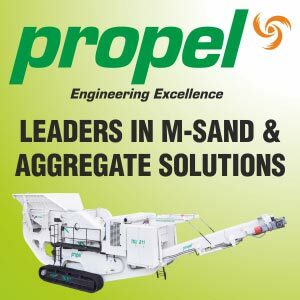 According to the company, it has an active fleet of 1,000 wheel loaders working in the mineral processing and mining industries of India. With plans to expand and consolidate its business in the road construction sector, SDLG showed its new G9 190 motor grader. Powered by Deutz BF6M101 3FC, tier 111, 190 hp engine, it delivers 2100 rpm, and produces high drawbar pull, which makes it a perfect machine for heavy-duty grading jobs. The fuel-efficient engine is designed to reduce sound levels in the cab for better operator comfort and performance. The motor grader has variable hp controls switch select for high, mid, and lower power, as per the work requirement. The grader comes with an optional ripper for faster penetration. The equipment also features a new ergonomically designed cab with higher noise insulation. Large windscreens in the cab and narrow pillars ensure wide angle visibility for higher productivity and safety. The company has 15 distributors across 70 locations in India.